OGG is an audio format of high quality digital multimedia. 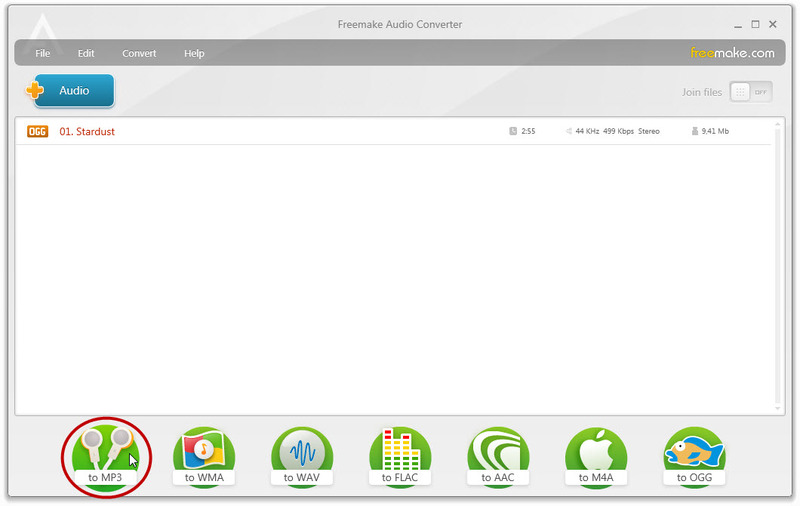 Get free and powerful Freemake Audio Converter and convert any OGG file to high quality MP3 in three clicks. No registration, no ads, no hidden costs. 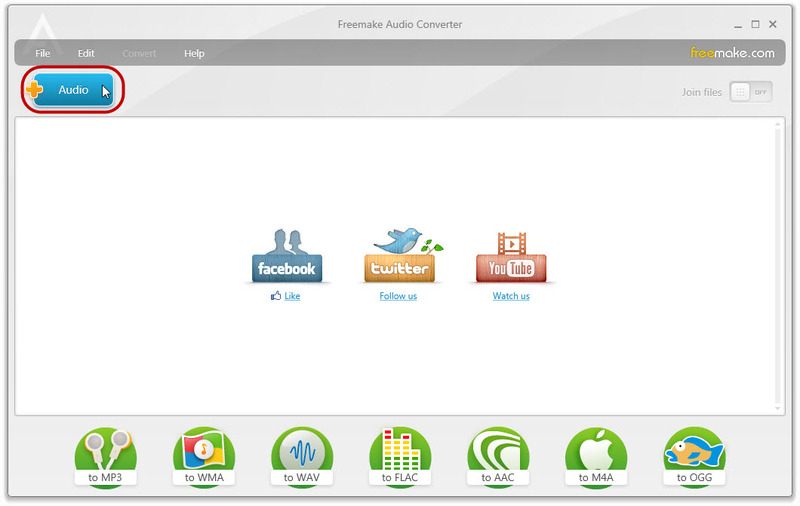 Download and install Freemake Audio Converter. Run the program and add all OGG files that you’d like to convert to MP3. Click “to MP3” and choose a quality of your future MP3. It’s better choose “Optimal quality”. Tick "Export to iTunes" to add the songs to iTunes media library. Click “Convert” to convert OGG files to MP3 free and fast. 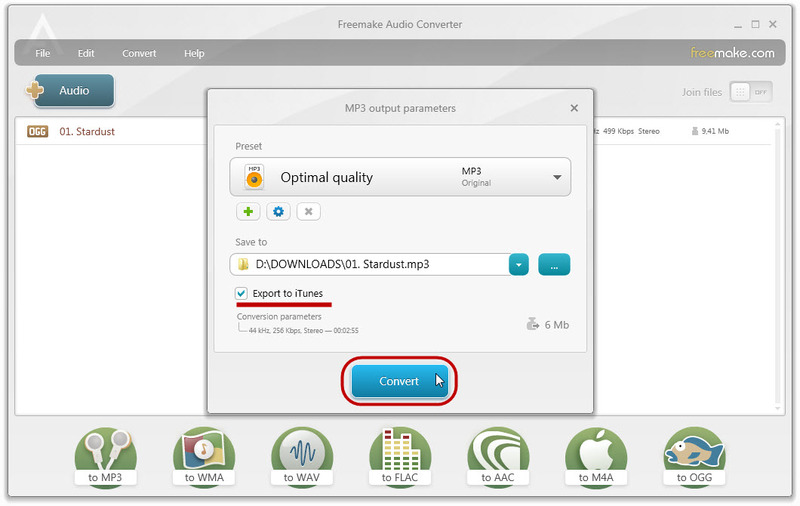 In the same way, you can convert FLAC to MP3 and M4A to MP3.